Nils H, a German nurse has gripped a nation with tales of how he came to kill up to 30 patients, all because he was bored and wanted to show off his ‘excellent’ resuscitation skills. Indicted, the 38 year old German nurse would be tried for three specimen murders by injecting patients with a dangerous medicine. At the time prosecutors had decided that a best case outcome would be reached if they only attempted to link the man to three deaths, but that assumption would be wildly broken during the course of the trial. 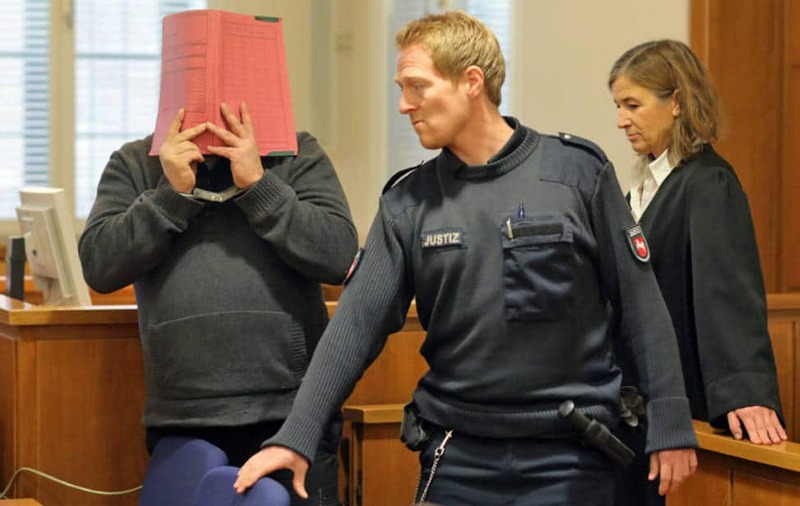 Having first gone to trial in Oldenburg in northern Germany in September, the former nurse would recant today and claim responsibility for dozens of deaths at the clinic he worked at. Explained Nils H at the time of his arrest, ‘I was bored,’ before telling prosecutors he was keen to show off his CPR skills. According to the prosecution, if the first attempt at resuscitation was a success, he would sometimes double up and make a second attempt. The nurse, whose full name is withheld under German privacy laws, used Gilurytmal, a medication which should only be used by doctors under strict supervision. Side effects include an irregular heartbeat, a drop in blood pressure and uncoordinated functioning of the heart muscle. Though the former nurse is facing charges over three murders and two attempted murders, the state prosecutor said believes Nils H could be involved in more than 150 deaths. In cooperation with the police, the state prosecutor is currently investigating the deaths of 174 patients who died during Nils. H.’s shifts at a clinic in Delmenhorst, near Bremen, between 2003 and 2005. The investigators will also look into deaths at Nils. H.’s previous jobs in Oldenburg and Wilhelmshaven with dozens of bodies will be exhumed. The recent trial comes after Nils. H. was sentenced to seven-and-a-half years for the attempted murder of a patient in 2008, time for which the man is currently serving. In that instance, the ex nurse gave his patient an overdose of heart medication, with the patient narrowly escaping death. Perhaps without coincidence, the death rate in the Delmenhorst clinic nearly doubled in the time Nils. H. worked there, whilst use of the heart medication also increased dramatically. That said, it would take nearly a decade before an investigation would be launched, angering relatives of the dead who are demanding information. A senior doctor who gave evidence in September said Nils. H. was a ‘passionate medic’ who made a good impression on staff at the clinic. The lawyer would reiterate that the increased death rate had been attributed to a number of causes rather than a rogue individual.